This ScarDerma review explores the efficacy of this product in reducing the appearance of scars through its all-natural quality ingredients which have been clinically proven to enhance skin health and healing. 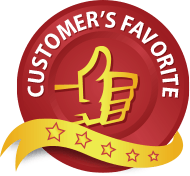 We shall also have a look at the customer support provided by the manufacturer, Premium Certified, and showcase exactly why we support this product as a scar-reducing solution of choice. This product comes as both a cream and a gel for targeted actions, intended to be used together for optimal results. Onion Bulb has antioxidant and anti-inflammatory properties that have been clinically proven to assist in the healing of scars, softening the texture, and reducing redness. Aloe Vera is known to increase the healing time of skin; boasting antioxidant, anti-inflammatory, and antimicrobial benefits. The other vitamins, minerals, and extracts all work together to soothe, moisturize, and heal skin as they reduce the appearance scars while protecting the skin. The gel is made from a combination of three types of medical-grade silicon, used to reduce the appearance of scars by smoothing out uneven skin, decreasing the height of the scar, as well as moisturizing and protecting skin. Both products have not been tested on animals and are made from vegan-friendly ingredients. The product formula has gone through FDA registration, many third-party tests, and followed cGMP guidelines to ensure top quality and efficiency. There are no additives, fillers, binders, or preservatives which make this product 100% pure and natural. There are clear instructions on how to use ScarDerma. For optimal results, first massage ScarDerma Scar Cream onto the skin using a gentle circular motion until most of the product is absorbed. Then, apply the Scar Gel as a protective layer which also locks in moisture. These products can be used three (3) up to four (4) times a day on the affected area. The amount per application depends on the size of the scar. ScarDerma uses the highest quality ingredients and abides by strict production guidelines, giving customers peace of mind that the product is, in fact, pure and all-natural as claimed. Avoid contact with eyes, do not swallow, and be sure to consult your physician in the unlikely case a skin irritation occurs. To purchase a set of ScarDerma, you can buy a samplers package ( which includes the Scar Cream and Scar Gel) from the manufacturer’s website for $48,00. There are many package options available, but the most value for money (and most popular) option is the 6 bottle plan. This package gives you 3 Creams and 3 gels for $138,00 – allowing you to save $270,00. These package deals not only allow the customer to afford this quality product but sustain the extended use of it too. The manufacturer confidently offers a 90-day refund policy in which customers qualify for 100% of their money back if they are not happy with their purchase. This is a lengthy guarantee that also applies to opened containers, giving uncertain customers the perfect opportunity to test their product. 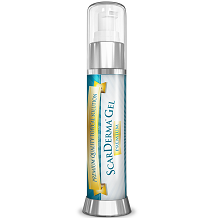 ScarDerma is a scar-reducing product that consists of both a cream and a gel. The formula is well-researched and contains clinically-proven ingredients to reduce the appearance of scars. This product is vegan-friendly, cruelty-free, abides by cGMP guidelines, and designed to offer maximum protection and nourishment for damaged skin. Thus, we highly recommend this product as a scar-reducing solution of choice.